Home Run Solitaire is rated 4.8 out of 5 by 17. 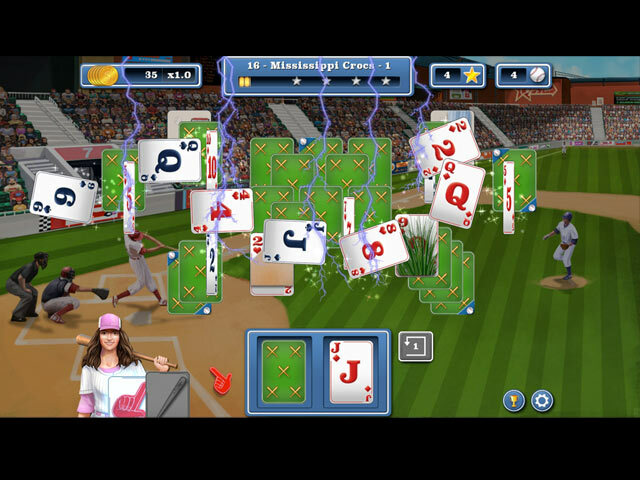 Rated 5 out of 5 by fredandethel from The most fun solitaire for a long time I'm not a sports fan, and I've never seen a baseball game, but this game just makes me smile, especially the ticket shower at the end of each level. The colours are bright and clear, the difficulty mostly just right, although I occasionally have to try a level several times. Also love the quirky commentators' banter, with excruciating puns, between chapters. The only thing I would change is the lack of an option to skip the minigames altogether - you can skip each one without waiting for a skip button to fill, but I do sometimes find them an interruption to the game. Still, five stars anyway! Rated 5 out of 5 by Marja67 from Take me out.... Really fun. My husband addicted to it now so I don't get to it as much. Takes us back to when we were kids. So real. Rated 5 out of 5 by oldladywho from Nice game! Similar to Chef Solitaire: USA but a bit more to it. I play Chef Solitaire almost every other night and have started it over for the 3rd time so I am happy to find a game I know i like with a new format! I enjoy the relaxing adventure and both with games I love the music and are the ONLY games I play the music that isn't annoying to me or my spouse! Rated 5 out of 5 by chevyqueen from I love games I have been searching for a good solitaire game since fairway collector's edition came out. After years of waiting, "Santa Christmas Solitaire" came out last year. I have played it three times. 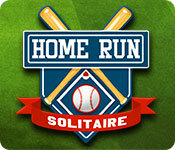 Home Run Solitaire is more like a grand slam homer! It hits all the bases. Rated 5 out of 5 by Marinersfan04 from Baseball fan? I am! 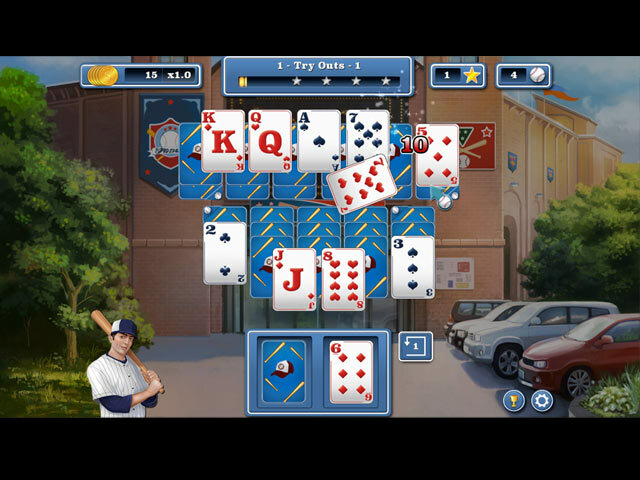 If you like baseball and solitaire, you'll enjoy this game. It has great graphics that remind me of minor league ballpark settings. With difficulty choices, you can play at your own pace. A perfectly relaxing game. Rated 5 out of 5 by kristidumplin from NOT another Golf game! WAY better! I saw the game offered and thought, like many, "Oh, great - ANOTHER golf game. One up, one down, until boredom makes you regret downloading the darn thing!". Boy - was I wrong! Yes, it's a golf game - play a card either up or down, regardless of suit, hoping to clear the board before you run out of cards, BUT - to alleviate that golf boredom, there are fun, fast little mini-games. There is a match-3 game, but, be quick on the matches! There is a shell game where you have to follow a card with a baseball on it. There is also a puzzle that asks you to rotate the mixed up pieces to make a correct, complete picture, and make those turns quickly, because you don't have much time on the ticker. There is also a little match game, where you have to make matches, and you get lots of chances to get them all right, but, match those bats and more quickly! ALL of the games must be done quickly, BUT - there is no penalty at all if you mess up. You can even skip the little games, but why would you? They break up the golf game just enough to keep the whole darn thing rather entertaining! There are power-ups to buy - foam fingers, hats, bats, soda cups, and more, that enable you to play just a bit better with an extra undo or - my favorite - the bat - wipes out the whole top layer of cards in one fell swoop! Try this game - it's NOT another golf game...it's WAY better and lots more fun - and even has clever commentary by a couple of color commentators! So - get up to the plate and give this game a swing or two. It's a home run!! Rated 5 out of 5 by cowclaudia from Finally a decent solitaire game BUT Definitely a challenge! Have numerous solitaire games and pride myself on being a pro but this is challenging and in the first section have had to replay levels which is a bruise to the ego but that's what makes games fun. It's the usual one up-one down solitaire with some mini games (not my favorites) which can be skipped and each level has a certain amount of cards with ball icons that have to be cleared to win the level. Finally a decent solitaire game which poses a challenge and fun to play. Rated 5 out of 5 by 2020moonlanding from Solitaire and more This is a really unique solitaire game with bits of HO and Match 3 making it a nice smash up of many popular elements. The game flow is flawless and the sound effects and voice-overs are spot on. This is a well polished and produced game. The baseball theme is brilliant. Get in!